We all know that reviews drive sales. Manufacturers that have Vendor relationships with Amazon can use the Vine program (if invited) to generate much needed reviews for new and existing products. Vine members, also known as Vine Voices, are chosen from Amazon’s reviewer base and have earned Hall of Fame status for writing accurate, insightful reviews on pre- and post-released, products that they have received for free. Vine can be a great way to launch a product, and as a Vendor it’s really the only option for reviews outside of the ones gained organically from product sales. How Does Amazon Vine Work? Vendors pay an extra fee which can range from $2,500 to $7,500 per ASIN to access the Vine program. The number of units per promotion are limited from 15 to 100 depending on the category. While the cost is high, most Vendors still feel the added reviews will be worth the Vine price tag over time. It’s a one-time cost for a benefit that will last the lifetime of the product. 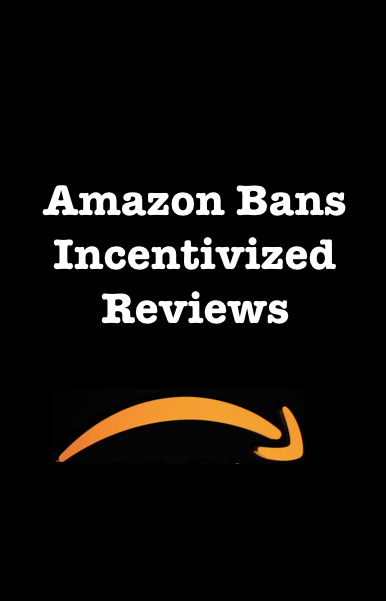 Amazon Vine reviewers are prohibited from selling or giving away products received and are instructed to recycle or destroy any items that they do not wish to keep. It is important to remember that Vine is for Vendors only. FBA merchants cannot use the service unless they are also in the Vendor program. On the other hand, Vendors cannot use the same review services as Seller Central merchants which means accumulating a significant amount of reviews post-product launches could take far more time. Sign up for the Vendor Express program plus accept the Term and Conditions. The main difference between the two is that the Vendors referred to in #1, are offered more personalized and responsive support plus have access to enhanced marketing strategies and analytics. They are also generally for larger manufacturers and well-known brands. Vendor Express does not require a registration key or invite. Vendor Express is available to third party sellers who also want to be Amazon suppliers. This comes with some very attractive marketing perks from sign-up which could seem super appealing; however, the Vendor Express program also requires real pre-sign up contemplation. Why? Essentially, Amazon buys eligible products in bulk directly from merchants, decides pricing, handles merchandising, customer service and returns. More clearly stated, Sellers hand over ALL responsibilities including pricing, inventory quantities, and content. Amazon then makes payouts, but on standard payment terms. From my research, Vendor Central does not pay every two weeks like Seller Central and will take a 2% discount if paid before 30 days. Evidently, there is no set scheduled payment to Vendors. Not exactly enticing for cash flow reasons. If you are a manufacturer or have proprietary rights to a product line and relatively new to the Amazon marketplace; trying Vendor Express can decrease the learning curve that inevitably every Amazon Seller traverses. That may be helpful if it is the only Amazon program you will choose to sell on. However, with Amazon in full control of your product, you may feel too removed from the whole experience. On the contrary, there is a plethora of accessible support for merchants on Seller Central to guide your business decisions. If becoming a Vendor is an option you are considering, take the time to understand the differences between Vendor Express and Seller Central to calculate the costs of doing business in each scenario and what resonates with your goals.